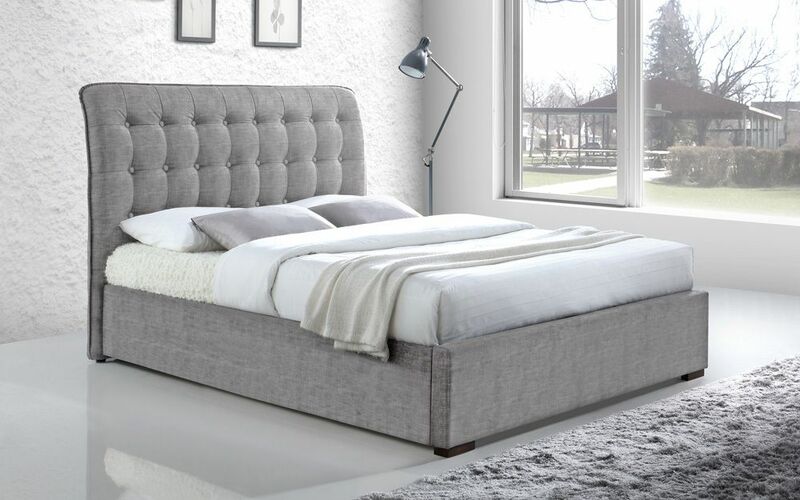 The Hamilton Fabric Bed Frame by Time Living is an example of everyday, contemporary style. Though the simple lines and structure are attractively minimalist, the soft quilting and covered button detail of the headboard create a classic, vintage look. The chrome feet and the sprung slatted base are distinctly modern, cleverly engineered to offer flexible support and structural longevity. Free Next Day Delivery available!